1. 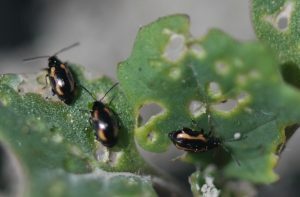 Flea beetle damage can advance quickly. 2. Flea beetles will keep eating on cool days. 3. Spray can be effective on cool days, but not wet days. 4. 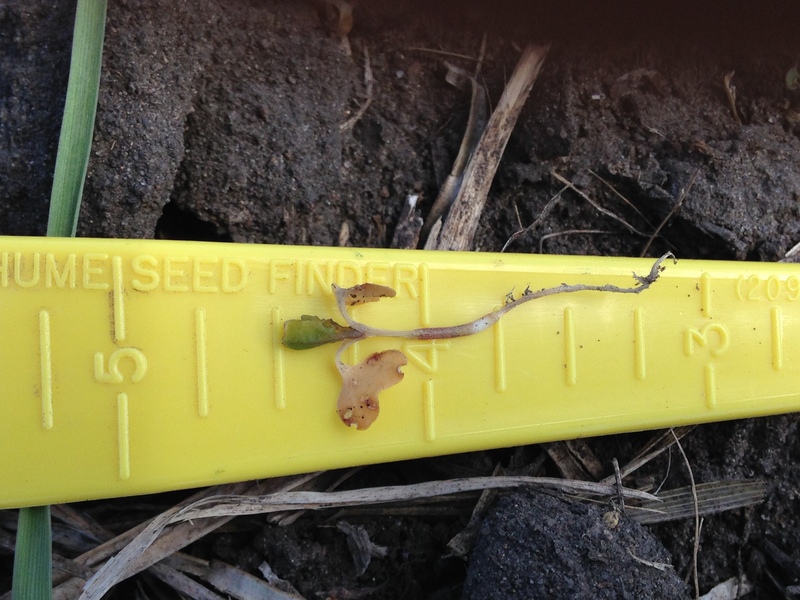 Stem feeding can be more damaging than leaf feeding. 5. 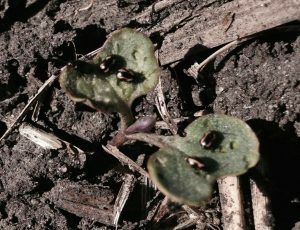 Seed treatments are less effective on striped flea beetles. Is this insect a friend or foe? Try your ID skills on these less-common insects you might find in canola fields. Flea beetle pressure is quite high in many locations. Spraying may be necessary. If damage was quick and devastating, growers may face a reseeding decision. Early scouting is necessary to make sure the seed treatment provides enough protection. 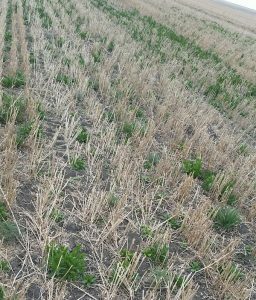 Frost, wind, cold soils and in some cases excess moisture have reduced canola stands. Some growers are thinking about reseeding. This week’s quiz provides some background to help with the decision. When growers have canola stands of fewer than 4 plants per square foot — due to low seeding rates, poor seed survival, insects, crusting, frost, wind, etc. — they grapple with the question whether to reseed. 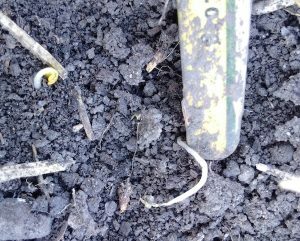 An established canola stand with as few as 1-2 plants per square foot generally has higher economic potential than if were to reseed that crop in June. This population is far below the minimum 4-5 per square foot required to meet yield potential, but a thin stand seeded early has greater economic potential (considering yield, quality and cost of production) than an adequate stand that doesn’t get established until mid to late June. After a frost, it can take a few days to accurately determine how many plants survived, and whether the stand is still uniform. Be patient before making any decisions. Check the whole crop the day after a frost and then again 3-4 days after a frost to assess the situation. Flea beetle thresholds don’t change with frost, but frost may have changed the crop assessment situation. Here’s how…. 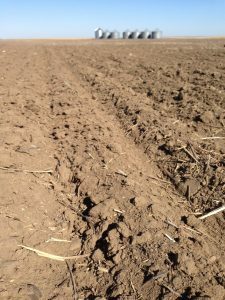 Seeding into moisture: How low to go? 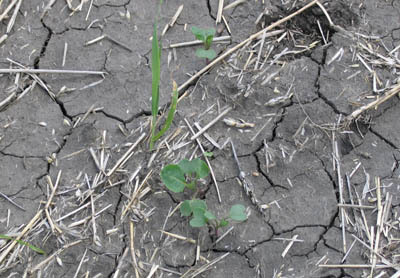 Weeds will be going strong with the sun, especially if they have established roots that reach moisture while newly seeded crop battles dry topsoil conditions. 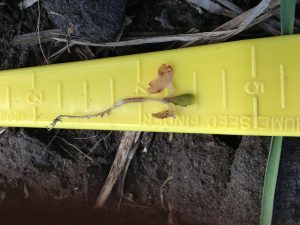 A second pre-seed burnoff may be in order or — if emergence is likely to be slow — the post-seeding pre-emergence window may be a little wider than usual. 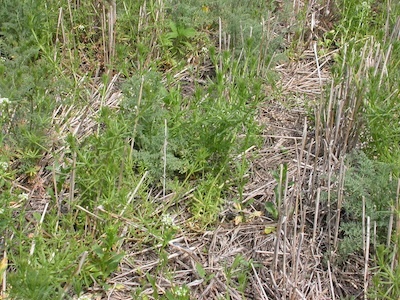 Either way, early weed control remains important to maximize profit potential of the crop. 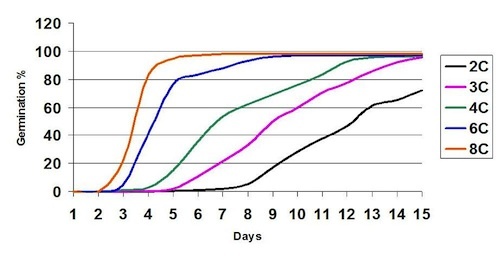 Canola is quite susceptible to water logging and shows a yield reduction after only 2-3 days in excessive moisture. Wait to see how the crop recovers before making decisions on reseeding or fertilizer top ups. Test your knowledge on weed control under cool, frosty conditions. Early weed control with lower efficacy is generally preferable to no control at all or late control with higher efficacy — as long as weeds are present and not frost damaged. 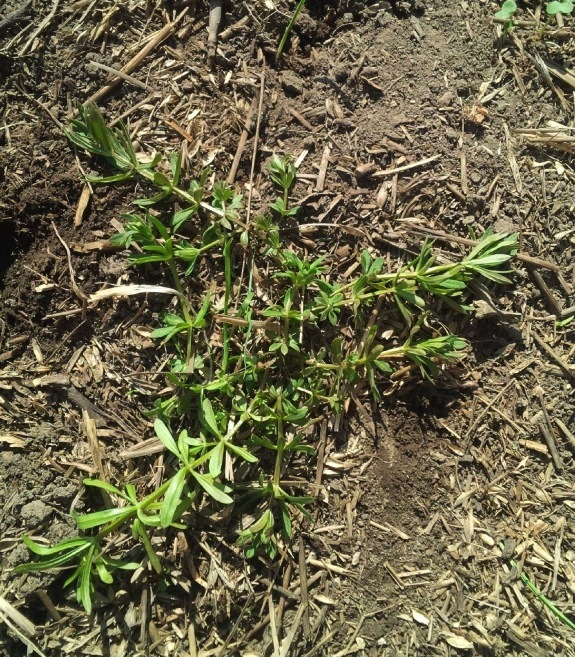 Winter annual cleavers are reported in high numbers in some fields. These need to be sprayed before seeding to prevent them from getting really large and near impossible to control with in-crop label rates. The pre-seed window provides an opportunity to hit these large cleavers with rates needed for control. 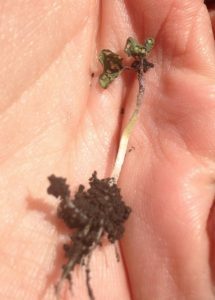 Slow canola emergence due to cool soils can increase the risks from seedling diseases and from flea beetles.